random and pressing details: World AIDS Day... And I'm Tardy!!! But in the mean time... here's the rerun. Today is National Women and Girls' HIV/AIDS Awareness Day.... and it's time for my periodic rant a discussion about the virus again. However, today instead of my usual statistics, facts and examples, I wanna say a couple of positive and personal things. I have always said that my motivation to be involved with the Red Pump Project and HIV/AIDS awareness stemmed from my profession as a nurse. Weeeeelllllll..... yeah, but naw. A big part of it is that a friend I met about 18 years ago, and loved well, died of AIDS related pneumonia in 1998. But here's the thing. She had a daughter. Her daughter was born before HIV was part of the picture. However, she was still left to carry on with the stigma that "Your mama died of AIDS." She didn't get resentful or bitter. She started advocating. She started talking and educating. And she started doing this at about 16 years of age, when it is really not the easiest thing to do to go against the opinions of your peers. She's an inspiration to me. She went on to get a Master's in Social Work, and lives in Northern California, working as a family therapist. The moral of the story, there is life after HIV. Not just for the loved ones who lost someone to the virus, but especially for people who are infected and managing the virus. Follow the links below for facts and examples! Much love and blessings to all. 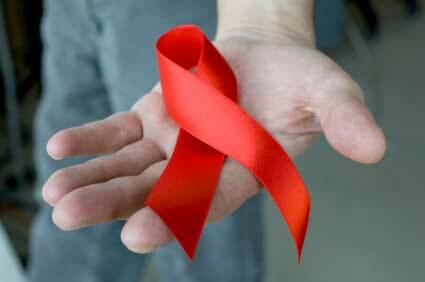 Get tested, know your status and protect yourself.